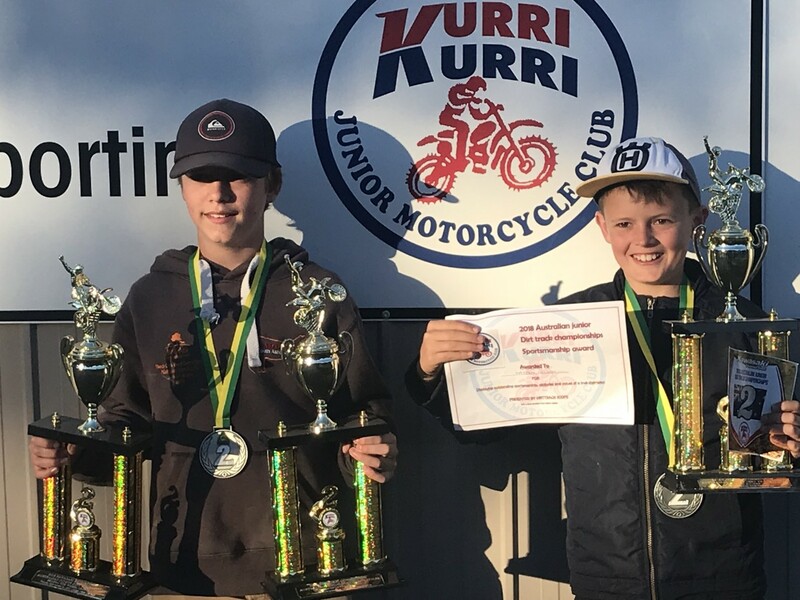 Two Taree Motorcycle Club riders achieved podium finishes in the Australian Junior Dirt Track Championships at Kurri Kurri on Sunday 12th August. Mitch Bisley finished 2nd in two 13-16 year old classes – the 85 -150cc standard wheel and the big wheel class. Hayden Nelson finished 2nd in the 9-11 year old 85 -150cc class. Kye Andrews, Zane Hopkins, Blake Wilby and Cody Wilby all made it through to the finals but missed the podium. As always at a championship meeting, there was plenty of action in the finals with riders putting it all on the line resulting is crashes, red-flags and restarts. It is anticipated that the eight Taree juniors who competed at the Kurri Kurri Australian titles will be racing again on their home track on Sunday 19th August for Round 5 of the Taree Motorcycle Club Championship. With the dust only just settled at Kurri after Sunday’s Australian titles, Taree Motorcycle Club was notified on Monday that it has been successful in its application to host the 2019 NSW Junior Dirt Track Championships.